As with any sport, lacrosse comes with a tons of equipment that you have to carry along with you. You can make life a lot easier if you buy some bags to pack it all in. Let’s look at the best lacrosse bags & backpacks of 2019 for all your storage solutions. What Do You Need in a Container for Lacrosse? Three products from each category will be discussed in detail, bags, backpacks, and stick bags. But before we get to these reviews, here is a table which summarizes the top product from each group. 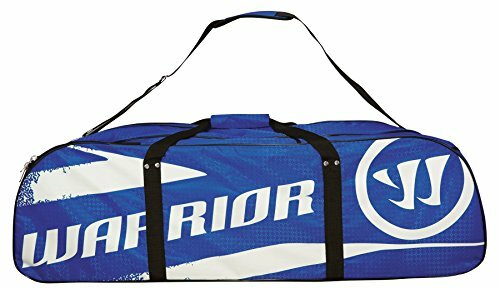 One of the best bags for lacrosse has been manufactured by Warrior. The Warrior bag can be characterized as a duffle bag. It is quite large. Its dimensions are 42 inches in length, 13 inches wide, and 12 inches high. You will be able to fit a bunch of your smaller gear and clothes in the bag. You might be able to fit a very short stick into the bag but it is going to be a squeeze. But remember that this is still a benefit as you won’t even be able to fit a small one into most bags. One of the best features of the product is that Warrior constructed it with separate compartments inside. One of these is meant to hold wet clothes as well as your shoes. It helps a great deal to keep them separate. It will help to prevent your other equipment and clothes from becoming musty and starting to smell. Besides this, it has pockets on the side along its length if you want to keep some things separately. Lucky for you it is available in more than one color. You can choose between a black, a bright blue, and one that is white and grey. 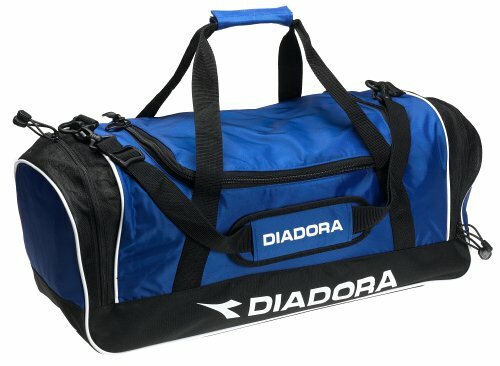 ​Another of the best lacrosse bags on the list has been manufactured by Diadora. You should note that the bag is much smaller than the others that are being reviewed. The dimensions of the product are 20 inches in length, 15 inches in width and 5 inches in height. You can see that it is very unlikely that you will be able to fit any sort of shaft or stick into it. So it is not ideal if you need one for this purpose. It should rather be used to carry your clothes and other smaller items in. The best feature of this option is its wide range of pockets. It has more than any other products on the list. Most of the compartments have zippers. There are pockets both inside and out. Two of these are vented. The breathability means that they are excellent for keeping your shoes and wet items in. 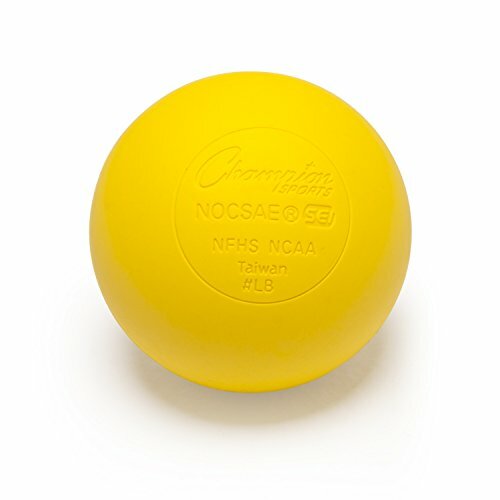 It even has a pocket that is designed to keep your lacrosse ball in. It is available in an extensive range of color combinations. When making a purchase, you can choose between shades of green, shades of blue, purple, maroon, and red. All of these come with a black trim. 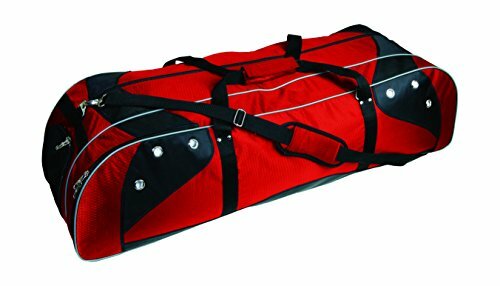 Although it might look like any other duffle bag, the next bag in the review was made especially for lacrosse. The product has been made by Maverik. For the most part, it doesn’t have any frills or special features. The design is round, and it only has one zipper on the outside. It only has one set of straps. They are of a medium length. You might be able to sling it over your shoulders but it won’t be as comfortable as some other options. Unfortunately, their length can’t be adjusted. Overall, the product is designed to make it extra sturdy. The handles are part of straps that are sewn right around the bulk of the bag. On top of this, it is constructed with marine grade zippers. They are strong and durable and you can see that they are thicker than the average zippers. Another benefit of the product is the variety of colors that Maverik produces it in. You can choose between black, navy, red, maroon, and royal blue. All of these shades look quite cool. Its dimensions are 40 inches long, 15 inches wide, and 15 inches in height. You might be able to fit a very short stick or shaft in but probably not one for defenders or goalies. 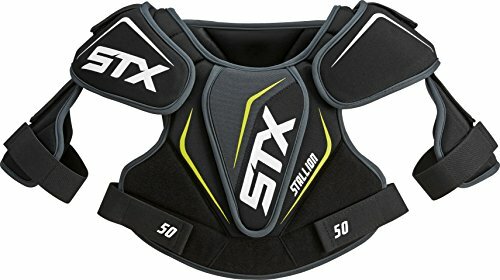 One of the top stick bags for lacrosse was made by STX. The bag was designed specifically for sticks and shafts. It has a long tubular shape. Because of its length stick will comfortably fit in and its shape means that you could pack some other things in as well. The product is wide enough that you should be able to put more than one stick to it. Its exact dimensions are forty inches in length, six inches in width, and two-and-a-half inches high. On top of this, STX has sown a mesh pocket onto the outside of it. Because of this breathability, it is excellent to keep your water bottle, wet clothes, or shoes in. There is also a small compartment with a zipper into which you can safely put your mouth guard or anything else that you want to keep separate. All these features mean that the bag is pretty versatile. Despite this, it is still quite slim so it is easy to carry around and won’t take up to much space in your car or home. Another benefit of the product is that it comes in a variety of colors. It is available in black, as well as several bright shades like electric blue and grape. One downside of the bag is that it can be challenging to get your gear into and out of the bag. It only has one small zipper which isn’t conveniently placed. The next bag in the review is one that has been designed and produced by Brine. The company has made the product with female players in mind. But this doesn’t mean that men or youths can’t use it as well. Its aesthetic should suit most people’s taste. You can choose between several colors. The most eye-catching options are the black, pink and neon blue ones. There is a white logo printed on the bag as well as a patterned piece running diagonally across it. The product is relatively long as far as choices on the market go. It is forty-four inches in length so you will be able to fit a forty-three-inch stick in. This size will be suitable for most women’s lacrosse shafts. 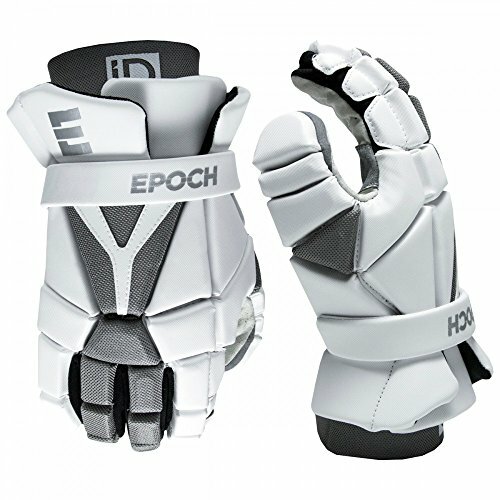 Unfortunately, it will probably be too short for some men’s sticks particularly those used by goalies and defenders. You should note that the bag is quite narrow. You will struggle fitting more than one stick in. Unlike some other available options, you probably won’t be able to comfortably carry any other items or gear in it. It only has an inner mesh pocket that is ideal for keeping your goggles in. One of its best features is the moisture-resistant liner with which it has been constructed. 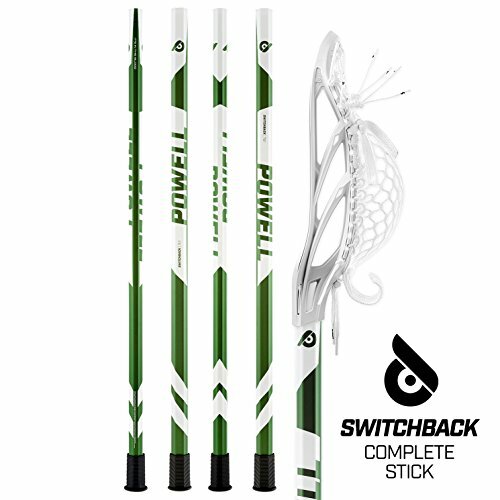 The lining prevents moisture from leaking out and protects your stick from wet conditions. The next options on the list is a professional quality bag. 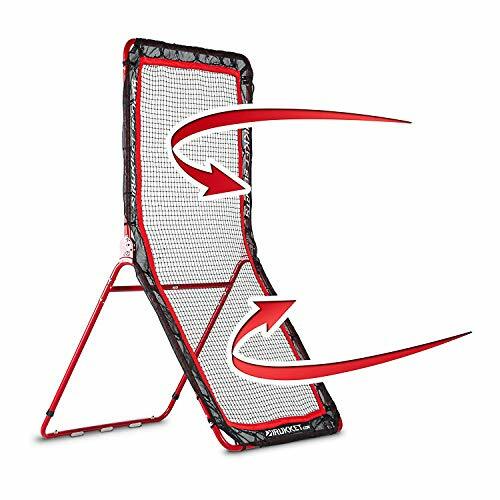 The product has been manufactured by Martin Sports. It is made from premium materials and is designed with experienced players needs in mind. The product is the biggest stick bag on the list. Its dimensions are forty-two inches in length, thirteen inches wide, and twelve inches high. So it should hold sticks that are forty-one inches long. It is so wide that you can safely use it to carry two sticks with some room to spare. One of the benefits of this option is that with this option, you will probably only need one bag to pack all your equipment and personal items. It has separate compartments including one, especially for wet gear. The obvious con of its size is that is rather bulky. It can be difficult to carry around and will take up a lot of space. So if you are looking for a slim bag, it is not ideal. Overall it is very sturdy. It is constructed with heavy duty nylon that is unlikely to tear or wear out. Besides this, all of the compartments are closed with double zippers. These make it more secure and more convenient to open. 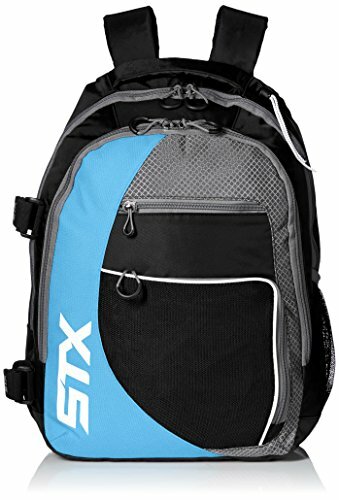 One of the best lacrosse backpacks has also been made by STX. 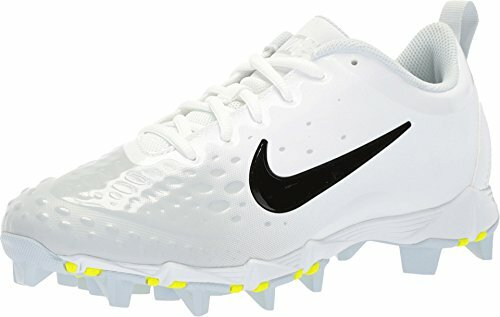 The product has been made especially for lacrosse. It is a relatively large bag. It is nineteen inches in length, fourteen inches in width, and nine inches deep. Among all the backpacks it is the largest. There are two separate compartments in the main body of the product. One is a lot bigger than the other. They are great for sports equipment but can also double up to carry your laptop or tablet in. Besides this, there are some pockets on the outside as well. They are secured with zips and are made from mesh. They are brilliant for storing wet gear. However, they are small so you won’t be able to fit much in them. All of these pockets means that it is quite versatile. One benefit of the product is all the padding with it has been designed. Its straps are cushioned as well as the back panel. It is extremely comfortable to use and to carry around. But the best feature of the backpack is its most unique feature. It has two straps that are looped on the side. These are made out of an elastic material. You can slip your lacrosse stick or shaft into these to carry around. 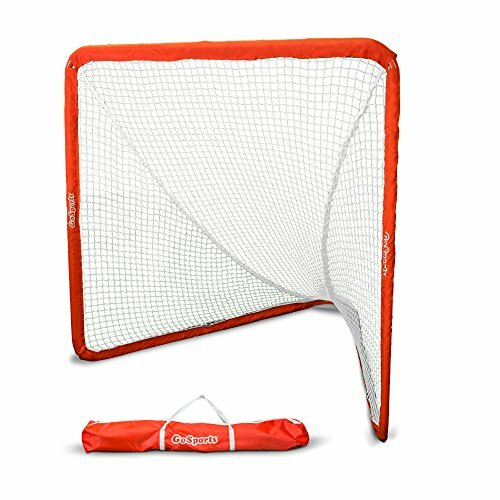 The following item on the list has also been constructed especially for lacrosse. 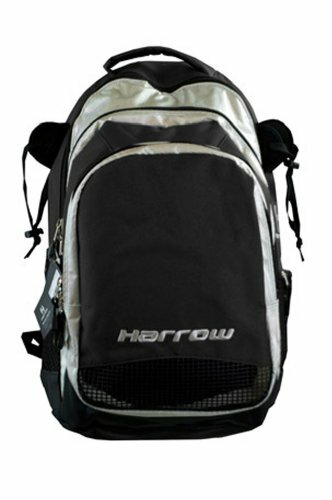 It is a backpack that has been manufactured and designed by Harrow. 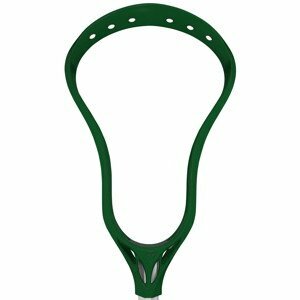 The bag has been constructed with straps on either side that are ideal for holding your lacrosse stick. These can also be used to carry a hockey stick. It is extremely rare to find a bag with two stick holders. You will be able to carry multiple shafts. The dimensions of the entire bag are twelve inches in width, eleven inches in length and eighteen inches in length. Therefore, it is of a considerable size. There are three distinct inner compartments in the backpack. Each of them can be opened and closed with their own zipper. They are all of the different sizes. The front pocket is partially constructed with mesh which allows it to breathe. The product has adjustable straps. Unfortunately, they are not as well padded as those of some other options. Luckily, it has a cushioned back which helps to make it more comfortable to carry around. One great feature of these bags is that you can choose between several color combinations when making a purchase. The best looking ones are the Carolina/Grey and the Navy/Silver. 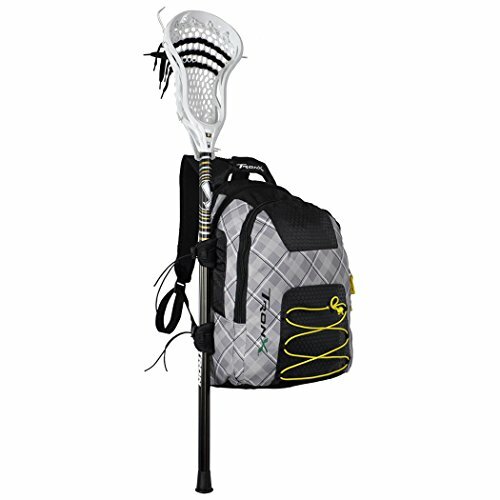 The next backpack in the review is the TronX Lacrosse Equipment Backpack. 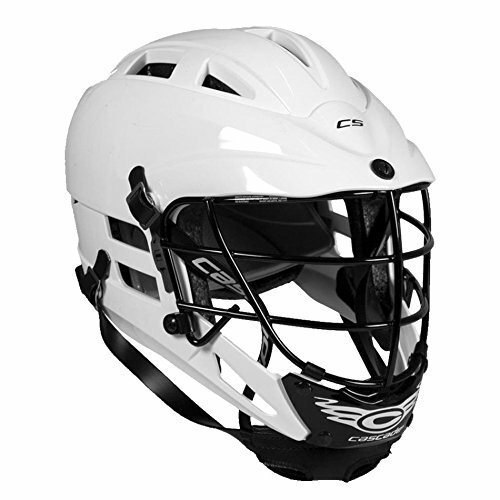 The product has also been designed specifically for lacrosse players. As such it has a stick carrier on one side of the pack. It consists of two loops that can be tightened around its shift. The straps can be easily opened to remove your stick. The other side of the pack features a pouch for your water bottle. Any sportsmen can imagine that this would be super convenient. You can easily reach around to take it out and put it back in. Although the bag is of a fair size it won’t hold all of your equipment. Bulkier pieces of gear such as your helmet won’t fit. However, you should be able to carry your uniform inside. Like most backpacks, it has separate compartments. There are two inner pockets which makes storing items much more convenient. The straps and back of the bag are slightly padded but not as much as they could be. The product certainly isn’t as comfortable as some of the other bags on the market. Unfortunately, there is only one color option. The backpack is grey with diamond patterns on it. Its appearance is unisex and should suit most people. 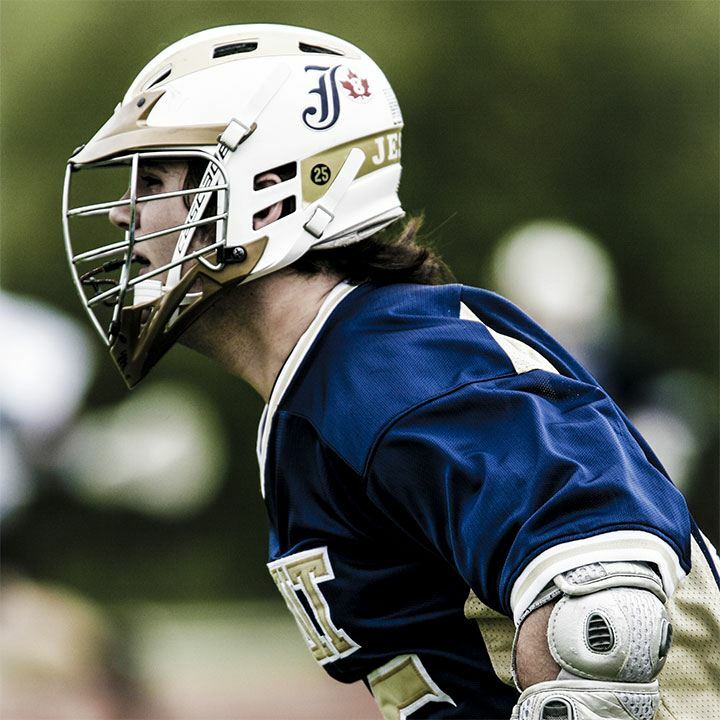 Lacrosse players need a variety of equipment to play. The characteristics of the bag you want depend greatly on what you want to carry around. But there are some things that are always necessary no matter what you want it for. The bag should give some protection to your gear. It must have some padding to stop you from accidentally damaging it by bumping, scraping, or dropping it. It can also protect it from the weather, especially wet conditions. One of the essential considerations is the degree of support that the backpack or bag will supply. The straps should help you to carry it more comfortably without exerting too much pressure. It shouldn’t cause you discomfort or pain. Remember that no matter how fantastic the bag is, you need to pack it so that the weight is evenly distributed. 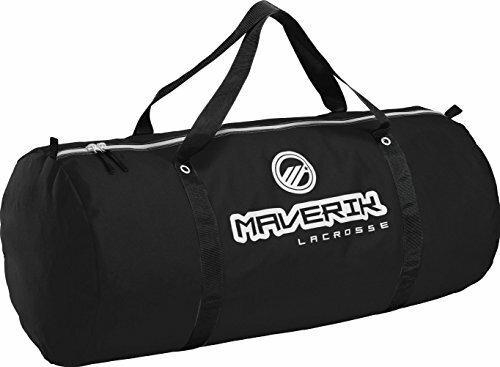 There are three main types of bags that are used by lacrosse players. They are backpacks, stick bags, and general bags like duffle bags. Backpack: One of the items you need is a backpack. It can be used to carry some smaller pieces of gear as well as other items that you might want to take with you. Most ordinary backpacks will do, but you can also buy one that is specially designed for lacrosse. Stick bag: One of the most challenging pieces of gear to lug around is the stick. Its length means that it can get in the way. Your best bet is to buy a bag that is designed specifically to hold your stick. Bag: To carry the rest of your equipment you might prefer a duffle bag. These products are popular in most sports. They are ideal for storing your uniform and any type of protective clothing that you have. Take a look at this youtube video for all the gear that you should pack in your bags. Depending on what you need to store, you might want a bag, backpack, or stick bag. You should assess what you want to carry around and whether that will fit in the product. For example, stick bags are shaped to snugly hold your stick. Bags come in a range of sizes. If you like carrying everything with you rather go for a bigger item. The manufacturers might provide you with the details in inches or in liters. One of the attributes to consider is the features of the bags. Most products will come with extra pockets and compartments for different things. You should also check whether it has straps and of what type. You are probably going to take the bag to all kinds of places and in all kinds of condition. You want to buy a product that is durable. One great benefit is if it is waterproof. Don’t forget about comfort when you are making a choice. The bag shouldn’t hurt you while you are carrying it around. The ergonomics depend on its size, straps, and how much padding it has. The review looked at some of the best lacrosse bags & backpacks in 2019. It explores three of the top choices in three categories. The types are a bag, backpack, and stick bag. Each of these kinds fulfills a different need for players. However, if I have to select just one bag to go with it would be the Warrior Black Hole Lacrosse Bag. The product is a good all-rounder. It can be used for several different purposes. 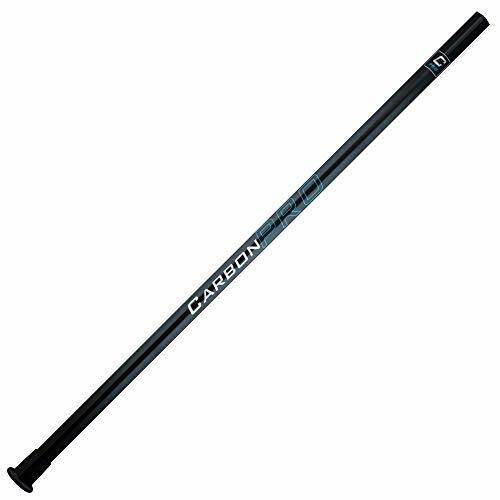 It is long enough to fit a shorter type of lacrosse stick and has enough space for your other equipment. Besides this, it has two sets of straps, one to hold it in your hand and one to carry over your shoulder. Overall, it is the most versatile option.